For other people named Will Young, see William Young (disambiguation). William Robert Young (born 20 January 1979) is a British singer-songwriter and actor from Wokingham, England,  who came to prominence after winning the 2002 inaugural series of the ITV talent contest Pop Idol , making him the first winner of the worldwide Idol franchise. His double A-sided debut single "Anything Is Possible" / "Evergreen" was released two weeks after the show's finale and became the fastest-selling debut single in the UK. Young also came in fifth place in World Idol performing his single "Light My Fire". 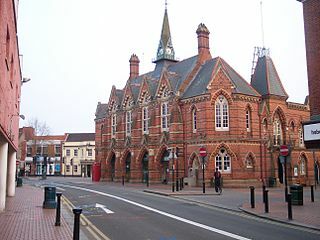 Wokingham is a historic market town in Berkshire, England, 39 miles (63 km) west of London, 7 miles (11 km) southeast of Reading, 8 miles (13 km) north of Camberley and 4 miles (6.4 km) west of Bracknell. At the 2011 census, it had a population of 30,690. From Now On is the debut studio album by English recording artist Will Young. It was released on 14 October 2002, eight months after he won the first series of Pop Idol. The album reached number one on the UK Albums Chart, having sold 187,350 copies in its first week of sales. From Now On has now sold just over 880,000 copies. Alongside his music career, Young has acted in film, on stage and in television. For his performance in the 2013 London revival of the musical Cabaret , he was nominated for the Laurence Olivier Award for Best Actor in a Musical. He has also participated in philanthropy and released books Anything is Possible (2002),  On Camera, Off Duty (2004) and his autobiography Funny Peculiar (2012). The Laurence Olivier Award for Best Actor in a Musical is an annual award presented by The Society of London Theatre in recognition of achievements in commercial British theatre. The awards were established as the Society of West End Theatre Awards in 1976, and, renamed in 1984 in honour of English actor Lord Olivier. Berkshire is one of the home counties in England. It was recognised by the Queen as the Royal County of Berkshire in 1957 because of the presence of Windsor Castle, and letters patent were issued in 1974. Berkshire is a county of historic origin, a ceremonial county and a non-metropolitan county without a county council. The county town is Reading. Colonel Sir Aretas William Young was a British Army officer and colonial administrator of the early nineteenth century. After extensive military service in the Peninsular War and elsewhere, Young held a range of colonial government roles in the West Indies and Prince Edward Island, of which he was Lieutenant Governor. Young was knighted in 1834 for his colonial service. While in office at Charlottetown, he died, and was replaced by General John Harvey. Hungerford is a historic market town and civil parish in Berkshire, England, 8 miles (13 km) west of Newbury, 9 miles (14 km) east of Marlborough, 27 miles (43 km) northeast of Salisbury and 60 miles west of London. The Kennet and Avon Canal passes through the town from the west alongside the River Dun, a major tributary of the River Kennet. The confluence with the Kennet is to the north of the centre whence canal and river both continue east. Amenities include schools, shops, cafés, restaurants, and facilities for the main national sports. The railway station is a minor stop on the London to Exeter Line. Marlborough is a market town and civil parish in the English county of Wiltshire on the Old Bath Road, the old main road from London to Bath. It boasts the second-widest high street in Britain, after Stockton-on-Tees. The town is on the River Kennet, 24 miles (39 km) north of Salisbury and 10 miles (16 km) south-southeast of Swindon. Young: "I love disagreeing with Simon because I do it every week, but all of us [the contestants] have been dying to say things to you.—"
Cowell: "Well I just spoke how I felt." Young: "Sorry, can I finish? Thank you. It's nice that you've given opinions in this show. In previous shows you haven't, you've just projected insults and it's been terrible to watch... It is your opinion, but I don't agree with it. I don't think it was average. I don't think you could ever call that average, but it is your opinion and I respect that, so thank you very much." Top 4 Performers' choice "Night Fever"
Idol single (AA side) "Anything is Possible"
Young's first single was a double A-side featuring Westlife's song "Evergreen" and "Anything Is Possible", a new song written for the winner of the show by Chris Braide and Cathy Dennis. In March 2002, this became the fastest-selling debut in UK chart history, selling 403,027 copies on its day of release (1,108,659 copies in its first week). It went on to sell over 1.7 million copies, and on the official list of the all-time best-selling singles in the UK issued later that year, it was ranked eleventh. In 2008, Official Charts Company released the Top 40 Biggest Selling Singles of the 21st century (so far) in which Young's version of Evergreen topped the chart. On 31 December 2009, Radio 1 confirmed that "Anything Is Possible"/"Evergreen" was the biggest selling single of the 2000s decade in the United Kingdom. This was again confirmed on 7 May 2012 when Radio 1 played a countdown of the top-selling 150 songs of the millennium so far. "Anything Is Possible" won an Ivor Novello Award for Bestselling Song of 2002. Young's second album, Friday's Child , was released in December 2003. It features the singles "Leave Right Now", nominated in the Best British single category of the past 25 years at the 2005 BRIT Awards and winner of the Ivor Novello Award for Best Song Musically and Lyrically in 2004, "Your Game" (which won Young his second BRIT Award in 2005)  and "Friday's Child" In November 2005, Young released his third album, Keep On , which included the single "All Time Love", nominated in the Best British Single category at the 2007 BRIT Awards. Other singles from the album were "Switch It On" and "Who Am I". In July 2007, he appeared at the Concert for Diana at the new Wembley Stadium. Young was the headline act at the Proms in the Park,  which took place in Hyde Park in September 2007 as part of the Last Night of the Proms. In September 2007, Young performed at Ronnie Scott's Jazz Club with the Vanguard Big Band. Young took part in the Little Noise Sessions, a series of intimate, acoustic gigs for the learning disability charity, Mencap. He performed in November 2007 with special guests at Islington's Union Chapel. In April 2008, Young again appeared at Ronnie Scott's Jazz Club with the Vanguard Big Band. Young is to perform at various festivals during mid-2008, including Glastonbury, T in the Park  in Scotland and Bestival  on the Isle of Wight. On 24 August 2008, Young appeared at the Olympic Party which took place in the Mall, London. He performed his latest single Changes and I Can See Clearly Now, which was originally sung by Johnny Nash. On an interview with Digital Spy, Will Young revealed that he was working on a Dance-Pop album, which might be released in late 2009. He also confirmed that he was working with British duo Groove Armada, Superbass, who remixed his UK Top 10 single "Changes", and Gregg Alexander, who has previously worked with British pop singers Sophie Ellis-Bextor and Geri Halliwell. He also confirmed that he is working on an album covering songs by Noël Coward, which is as yet in its very early stages and he "doesn't know if it will end up". Young performed in a sell-out theatre tour, commencing on 16 November 2008 and continuing until 13 December 2008 with two dates at the Roundhouse in Camden, London. In early 2011, Young tweeted teaser clips of tracks from his new album, 'Echoes', which was subsequently released on 22 August 2011 and entered the UK Album charts at number one on 29 August 2011 making it Youngs first number one album since "Friday's Child" in 2003. The first single is called 'Jealousy', and premiered on BBC Radio 2, between 9.00am-12noon, Monday 11 July 2011, as confirmed on Young's Facebook page. The single was released on 21 August 2011, preceding the album by 1 day with the single peaking at No.5. "A Night With...Will Young" was aired two days before the release of Echoes on ITV1 presented by Kate Thornton charting all of Young's greatest hits plus performing a few new tracks from the album. Young appeared on the third episode of the Jonathan Ross Show performing Hearts on Fire from Echoes to further promote the album. Young undertook a 23 date UK tour including 2 nights at London's Shepherd's Bush Empire in Autumn 2011. The second single from Echoes was Come On released in November 2011, with the accompanying video featuring Young performing at a dog show. It was confirmed that Young would appear as one of the four judges on singing competition series The Voice UK although on 12 December 2011 it was reported that Young had been replaced by Danny O'Donoghue at the last minute. Speaking to the Daily Star, Young admitted: "Of course I'm disappointed not to be doing the show, not to mention how it's been handled. But the support from fans has been overwhelming. They really have been amazing." He performed a special Christmas concert at the London Palladium in December as the final night of his 2011 performances. The following day it was announced that he would be undertaking summer shows as part of the Forestry Commission's summer concert programme, also at Cornbury Festival. 2012 singles releases were Losing Myself and I Just Want a Lover with trademark unique accompanying videos. On 15 July 2016, Young announced on Facebook that a new EP titled Summer Covers will be released in August 2016. On 22 March 2019 Young announced the release of his upcoming album Lexicon to be released on the 14 June, Young also released the lead single “All The Songs” from the album the same day and announced he would be embarking on a tour in October 2019 in support of the album. Young had stated in an interview he had no intensions of releasing any more records as he was focusing on acting and his award winning Podcast series however after going into the studio with old friend and producer Richard X the lead single was recorded and the album naturally followed. Young added acting to his repertoire when he accepted a role in the BBC film Mrs. Henderson Presents ,  starring Judi Dench and Bob Hoskins, in which he played Bertie. The film was released in the UK in November 2005 to excellent reviews—not least for Young's performance as both actor and singer in the film. The scene in which Young appears naked postdated his "absolutely thrilled" acceptance of the British male Rear of the Year Award 2005, an accolade to add to the Most Stylish Male Music Star, Best Bod, Sexiest Star, Best Dressed and Best Hair awards he had already won. [ citation needed ] Young was an Executive Producer for Ralph Fiennes production of Shakespeare's Coriolanus filmed in Serbia, and his documentary on the making of the film features on its DVD release. He was to have a small role in the film as a reporter on the conflict as well as being Executive Producer,  but it was decided that his appearance was a "distraction" and it did not make the final cut of the film. Young trod the boards in the Royal Exchange Theatre's production of The Vortex by Noël Coward. This production ran from January to March 2007 and Young played the leading role of Nicky Lancaster. Critics, including Nicholas de Jongh, were very positive. He recently[ when? ] 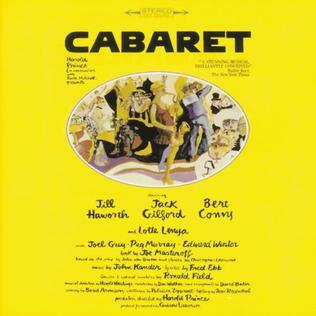 appeared in the musical Cabaret in London, after a short nationwide tour. This marked his West End debut. He was awarded the What's on Stage award for London Newcomer of the Year. He was also nominated for the 2013 Laurence Olivier Award for Best Actor in a Musical, but lost out to Michael Ball. Young also appeared in the Marple drama "The Mirror Crack'd from Side to Side" and guest starred in an episode of Skins in 2010. In 2011, he starred in a new drama series on Sky Living called Bedlam , about supernatural happenings taking place at a disused asylum being converted into loft-style apartments. The £3 million six-part series began airing on 7 February 2011. It was distributed by BBC Worldwide. Young was a guest on Top Gear during season 12 episode 2 and set the fastest wet lap around the track in the Chevrolet Lacetti. On 31 October 2011, Young was also the guest host of Never Mind The Buzzcocks . In November 2004, Young presented a documentary entitled Runaways  as part of the Children in Need campaign, highlighting the problems facing distressed teens who run away from home, and the plight they were in being picked up off the streets and railway stations by pimps who offered them work and drugs. The children did not know where to go for immediate help unless they were picked up by the police and sent to a refuge centre. During June 2007 a series of documentaries entitled Saving Planet Earth was shown on BBC Television. Young filmed an episode about saving the gorillas of West Africa during his visit to Africa earlier in the year. In March 2009, ITV1 arts programme, The South Bank Show presented an hour long fly on the wall documentary about Young that they had been filming over the course of the year as he returned to promote the Let It Go album. It showed him in Iceland filming the video for the "Let It Go" single, backstage before his performance on The X Factor and on his UK theatre tour from November 2008 amongst other segments. In August 2011, ITV based an hour-long programme on Young, entitled A Night with Will Young. This was to promote the release of his most recent album Echoes. In October 2007, Young narrated an audio version of the Roald Dahl novel Danny, the Champion of the World . Young also supports Mencap—about which he wrote, "I'm very much in this for the long term, and I'd like to help continue to break down peoples' misconceptions and prejudices"—The Children's Society Safe and Sound Campaign, and Positive Action Southwest (PASW), for which he performed at his first solo concert, in July 2003, at Killerton House, Exeter. Young is an ambassador for Catch22,  a UK young people's charity, which supports young people in tough situations. The young people may come from tough upbringings or districts, where poverty, crime and unemployment are common features. They may be leaving care, truanting, or have been excluded from school. Some of them have started getting into trouble with the police or may have got as far as custody. In April 2011 Young ran the London Marathon for Catch22,  competing again for the charity in 2012. On 18 April 2012, Young confirmed he would be releasing his first autobiography. The book was published by Sphere on 11 October 2012 entitled Funny Peculiar. As of March 2014, Young accepted the opportunity to become a spokesperson for the non-for-profit charity organisation gAID. Similar to Woman AID, gAID focuses on domestic violence in homosexual relationships. 2010 Television series T Love Appeared in the fourth series in the episode titled "Freddie"
Gareth Paul Gates is an English singer-songwriter. He was the runner-up in the first series of the ITV talent show Pop Idol. Gates has sold over 3.5 million records in the UK. He is also known for having a stutter, and has talked about his speech impediment publicly. Gates used the McGuire Programme to manage the problem and is now a speech coach with the programme. Darius Campbell-Danesh is a Scottish singer, songwriter, musician, actor, and film producer. He is currently an ambassador for The Prince's Trust. Ant & Dec are an English TV presenting duo, consisting of Anthony McPartlin and Declan Donnelly, from Newcastle upon Tyne, England. Formed after their meeting as actors on CBBC's drama, Byker Grove, they performed together as pop musicians PJ & Duncan, the names of their characters from Byker Grove. The duo have since led successful careers as television presenters, best-known for currently hosting Ant & Dec's Saturday Night Takeaway, I'm a Celebrity...Get Me Out of Here!, and Britain's Got Talent. Previous hosting credits include SMTV Live, CD:UK, Friends Like These, Pop Idol, PokerFace, Push the Button, Red or Black?, and Text Santa. They presented the annual Brit Awards in 2001, 2015 and 2016. Rosemary "Rosie" Ribbons is an Australian-born, United Kingdom-raised singer-songwriter. She achieved fame by being one of the finalists in the ITV1 talent show Pop Idol. Subsequently, she went on to score two UK top 20 hits. Stephen Desmond "Steve" Brookstein is an English jazz and soul singer who enjoyed fleeting success in the United Kingdom in 2004 after winning the first series of The X Factor. He is originally from Mitcham, South London. Michelle McManus is a Scottish singer, columnist, occasional television presenter, radio DJ and actress, who is best remembered as the winner of the second and final series of UK talent show Pop Idol in 2003. Raymond Arthur "Ray" Quinn is an English actor, singer, and dancer. He is known for his role as Anthony Murray in Brookside, from 2000 to 2003. Leon Jackson is a Scottish singer. 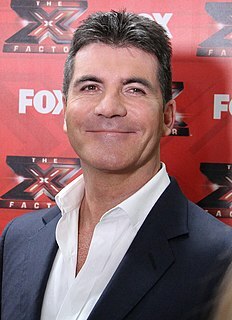 He won the fourth series of British talent show The X Factor in 2007. Following his win, Jackson was the main star of his on-web series entitled Leon's Life, which ran from 2007 until 2008. Jackson's début album, Right Now (2008) finished the year as the 75th best-selling album in the UK, and included the singles, "Don't Call This Love", "Creative" and "Stargazing". Pop Idol was a British television talent show that ran for two series, in 2001 and 2003. The show was produced for ITV in a reality television format and aimed to unearth a previously undiscovered singer who could become an international success. Will Young was the winner of the first series and was awarded with a £1 million music recording contract. Young became the most successful contestant with a series of top-five hits, including his debut single "Anything Is Possible" / "Evergreen", which peaked at number one on the UK Singles Chart in 2002 and broke chart sales figure records. During the next seven years he recorded two further number-one singles, while two of his four albums were number-one in the UK Albums Chart. In the second series, Michelle McManus emerged victorious. Her debut single "All This Time" charted at number one in January 2003. Her second single, "The Meaning of Love", charted at a peak of number 16 and an album of the same name reached number three in the UK Albums Chart. ↑ "Will Young (I)". IMDb. Retrieved 12 December 2012. ↑ "Pop idol proves he's got longevity; Will Young is in Toon this month. Entertainment Editor GORDON BARR catches up for an exclusive chat with the singer". Evening Chronicle. 2009. ↑ "1 Katie Price, 33, (reality TV) £45m (+£5m) – UK & World News". People.co.uk. 15 April 2012. Archived from the original on 14 November 2012. Retrieved 12 December 2012. ↑ Young, Will; Giddings, Marie-Claire (2002). Anything is Possible. London: Contender Books. ISBN 978-1-84357-030-1. ↑ McPhee, Erica (2005). Will Young: The Biography. London, UK: Michael O'Mara Books. p. 14. ISBN 1-84317-175-9. ↑ Young; Giddings (2002) p. 13. ↑ Nikkhah, By Roya. "Rupert Young struggled in the shadow of brother Will Young's success". The Daily Telegraph. Retrieved 11 October 2016. 1 2 3 McPhee (2005) p. 63. ↑ "Hon. Sir Colonel Aretas William Young" (PDF). Prince Edward Island Governors, Lieutenant Governors and Administrators 1769 to May 2009. Charlottetown, Prince Edward Island: Elections P.E.I. 2009. p. 9. ↑ "St. James's Palace, July 9, 1834". The London Gazette (19172). 11 July 1834. p. 1307. Retrieved 14 February 2010. ↑ Halpenny, Francess G., ed. (1979) . "Young, Sir Aretas William". Dictionary of Canadian Biography . VI. Toronto, Ontario: University of Toronto Press. Retrieved 14 February 2010. ↑ Gibbney, H.G. (1976) . "Young, Sir Henry Edward Fox (1803-1870)". Australian Dictionary of Biography . 6. Melbourne, Australia: Melbourne University Publishing. pp. 452–453. Retrieved 14 February 2010. ↑ Serle, Percival (1949). "Young, Henry Edward Fox". Dictionary of Australian Biography . Sydney, Australia: Angus and Robertson. Retrieved 14 February 2010. ↑ McPhee (2005) pp. 16–17. 1 2 3 Jablonski, Simon (19 February 2009). "My Schooldays: Will Young, Singer". The Independent. London, UK. Retrieved 12 February 2010. 1 2 3 McPhee (2005). p. 17. ↑ McPhee (2005) pp. 18–19. ↑ McPhee (2005) p. 19. ↑ Greenstreet, Rosanna (8 November 2009). "Time and Place: Will Young". The Sunday Times. Retrieved 12 February 2010. 1 2 McPhee (2005) p. 25. ↑ "Will Young Profile". Hello. Retrieved 12 February 2010. ↑ Richard Madeley, Judy Finnigan (presenters) (29 May 1999). "This Morning". This Morning. ITV. ↑ Cowell, Simon (2003). I Don't Mean To Be Rude, But... New York: Broadway Books. ISBN 0767917413. ↑ "Smash Hits magazine closing down". BBC News. 2 February 2006. Retrieved 14 February 2010. ↑ Richard Madeley, Judy Finnigan (presenters) (6 June 1999). "This Morning". This Morning. ITV. ↑ Philip Schofield, Holly Willoughby (presenters) (3 October 2013). "This Morning". This Morning. 45 minutes in. ITV. 1 2 McPhee (2005) p. 23. ↑ Young (2002) pp. 21–22. ↑ Solanas, Siân (2002). Pop Idol: The Official Inside Story of the ITV Series. London, UK: Carlton Books. pp. 8–9. ISBN 1842225367. 1 2 3 "Open Auditions 5". Pop Idol. Series 1. Episode 5. 20 October 2001. ITV. ↑ Young (2002) pp. 27–35. ↑ McPhee (2005) pp. 29–31. ↑ Young (2002) pp. 60–66. ↑ "William conquers Pop Idol". BBC News. 9 February 2002. Retrieved 28 December 2010. ↑ "Welsh dragon can slay X Factor's Emily". Betair. 29 October 2007. ↑ Patterson, Sylvia (31 August 2008). "Will Young: Not your average pop idol". The Daily Telegraph. Retrieved 28 December 2010. ↑ Garratt, Sheryl (28 November 2008). "Will Young: From now on". The Daily Telegraph. Retrieved 28 December 2010. ↑ Sturges, Fiona (1 November 2009). "The boy in the corner: Why is Will Young in therapy?". The Independent. Retrieved 28 December 2010. ↑ Solanas (2002) p. 27. ↑ McPhee (2005) p. 35. ↑ "Top 8: Burt Bacharach Songs". Pop Idol. Series 1. Episode 16. 29 December 2001. ITV. ↑ "Top 7: Songs from the Movies". Pop Idol. Series 1. Episode 17. 5 January 2002. ITV. ↑ "Top 3: Judges' Choice". Pop Idol. Series 1. Episode 21. 2 February 2002. ITV. ↑ Solanas (2002) pp. 57–59, 61–62, 64, 66. 1 2 Solanas (2002) p. 68. ↑ "Gareth remains Pop Idol favourite". BBC News. 9 February 2002. Retrieved 27 December 2010. 1 2 3 "Will becomes certain Pop Idol". CNN. 11 February 2002. Archived from the original on 2 October 2012. Retrieved 27 December 2010. ↑ Wilkes, Neil (9 February 2002). "Pop Idol: Celebrities reveal their favourites". Digital Spy. Retrieved 31 December 2010. ↑ McPhee (2005) pp. 56–57. ↑ Solanas (2002) p. 78. ↑ McPhee (2005) p. 54. ↑ Young (2002) pp. 165–178. ↑ Wilkes, Neil (7 January 2002). "Pop Idol: Will favourite to win". Digital Spy. Retrieved 31 December 2010. ↑ Born, Matt (9 February 2002). "Bookies bank on Gareth to be Pop Idol". The Daily Telegraph. Retrieved 28 December 2010. ↑ Osborn, Michael (7 October 2002). "Pop Idol Will makes his mark". BBC News. Retrieved 28 December 2010. ↑ "Pop Idol Rik Backs Will". Sky News. 8 February 2002. Archived from the original on 11 April 2013. Retrieved 28 December 2010. ↑ "Gareth remains Pop Idol favourite". BBC News. 9 February 2002. Retrieved 28 December 2010. ↑ "Pop Idol: Bookies place Gareth favourite". Digital Spy. 9 February 2002. Retrieved 28 December 2010. ↑ "Weekly Top 30 Programmes". BARB. User must select the parameters "ITV" as the Channel, "2002" as the Year, "February" as the Month, and "Feb 04 – Feb 10" as the Week to access search results. Currently there is no direct link to the search results. Retrieved 16 February 2010. ↑ Solanas (2002) p. 79. ↑ Folkard, Claire, ed. (August 2002). Guinness World Records 2003 . HiT Entertainment. p. 194. ISBN 1892051176. ↑ Sawer, Patrick; Smith, Laura (11 February 2002). "Pop Idol fans cry foul". London Evening Standard. London. Archived from the original on 5 May 2013. Retrieved 28 December 2010. ↑ "Pop Idol phone poll a winner". Sky News. 11 February 2002. Archived from the original on 11 April 2013. Retrieved 28 December 2010. ↑ "Pop Idol fans fury at phone vote "fix"". Newsround. BBC News. 11 February 2002. Retrieved 2 January 2011. ↑ "Will wins Pop Idol". BBC News. 10 February 2002. Retrieved 28 December 2010. ↑ McPhee (2005) p. 59. ↑ "Will Young: "Pop Idol was the best ever experience"". Digital Spy. 30 August 2011. Retrieved 4 October 2011. 1 2 "Young's 'Pop Idol' hit is decade's top seller – Music News". Digital Spy. 31 December 2009. Retrieved 12 December 2012. ↑ "Brit Awards 2003: Winners". BBC News. 21 February 2003. ↑ "Brits 2005: The winners". BBC News. 9 February 2005. ↑ "News and Diary". Government of the United Kingdom. 16 November 2012. Archived from the original on 12 September 2012. Retrieved 12 December 2012. ↑ "Stars Unite Against Hunger live in SA". Archived from the original on 2 August 2007. Retrieved 12 August 2008. ↑ "Proms – Proms in the Park – London". BBC. 8 September 2007. Archived from the original on 9 June 2009. Retrieved 12 December 2012. ↑ "Official Charts" . Retrieved 1 January 2018. ↑ "Let It Go Chart Position and trajectory". chartstats.com. Archived from the original on 9 October 2012. Retrieved 21 March 2009. ↑ "WILL YOUNG" . Retrieved 19 May 2017. ↑ "Will Young – Tell Me The Worst (Fred Falke Remixes) (CDr) at Discogs". discogs. Retrieved 12 December 2012. ↑ "T in the Park 2008 – Will Young". BBC. Retrieved 12 December 2012. ↑ "6 Music -Bestival: Amy and Young". BBC. Archived from the original on 13 August 2013. Retrieved 12 December 2012. ↑ "Will Young to play Olympic party". BBC News. 4 August 2008. ↑ "Will Young – Music Interview". Digital Spy. 9 February 2009. Retrieved 12 December 2012. ↑ "Radio 2 – Blackpool Live 2009 – Will Young". BBC. Retrieved 12 December 2012. ↑ "Watson joins Young at Sandringham". BBC News. 26 March 2010. ↑ "News : Sophie to support Will Young at Summer gig". Sophie Ellis-Bextor. Archived from the original on 14 April 2012. Retrieved 12 December 2012. 1 2 "Getting to Know Will Young – Show and Alumni News". American Idol. 15 April 2010. Retrieved 12 December 2012. ↑ Robbie Daw. "PHOTOS: After 'Idol,' Will Young Does A Special Gig Before "Leave"-ing L.A. | Music News, Reviews, and Gossip on". Idolator.com. Retrieved 12 December 2012. ↑ "Will Young was told to re-record a hit song because he sounded 'too gay'". The Independent. 23 March 2018. Retrieved 3 April 2018. ↑ "Will Young signs to Island Records". xixentertainment.com. Archived from the original on 12 October 2016. Retrieved 11 October 2016. ↑ Corner, Lewis (25 March 2015). "Will Young announces new album 85% Proof – Music News". Digital Spy. Retrieved 22 May 2015. ↑ Hegarty, Tasha (21 November 2015). "Will Young to release his stunning take on a Burt Bacharach classic for WWF campaign". Digital Spy. Retrieved 23 November 2015. ↑ "Mrs Henderson Presents (2005)". IMDb. Retrieved 12 December 2012. ↑ Nicholas de Jongh (23 January 2007). "Revelatory Will finds key to Coward classic – Theatre & Dance – Arts". London Evening Standard. Retrieved 12 December 2012. ↑ Feast Creative. "Full list: Winners announced of the 2013 Whatsonstage.com Awards | WhatsOnStage.com Awards". Awards.whatsonstage.com. Archived from the original on 21 February 2013. Retrieved 22 April 2013. ↑ "Will Young to star in Miss Marple". What's on TV. 5 August 2009. Retrieved 20 December 2009. ↑ "EXCLUSIVE: Writer: 'Will Young amazing on Skins'". Digital Spy. 11 December 2009. Retrieved 20 December 2009. ↑ Brown, Maggie (16 August 2010). "Living to air Will Young TV thriller". The Guardian. UK. Retrieved 9 January 2011. ↑ "Press Office – BBC Children in Need 2004 Runaways". BBC. Retrieved 12 December 2012. ↑ "News | Sony Music Entertainment". Sonymusic.co.uk. Retrieved 12 December 2012. ↑ Laura Davis. "Will Young and Liverpool's Joe McGann to become LIPA companions". Liverpooldailypost.co.uk. Retrieved 12 December 2012. ↑ "Michaelmas Term 2012". the Oxford Union. 27 October 2008. Retrieved 12 December 2012. 1 2 "Young invited on to Question Time". BBC News. 2 October 2008. Retrieved 22 December 2009. ↑ "About Us". Mood Foundation. Archived from the original on 8 June 2008. Retrieved 12 December 2012. ↑ "Transforming lives and communities". Catch22. 7 December 2012. Retrieved 12 December 2012. ↑ "London Marathon: 36,500 runners compete in 30th race – Channel 4 News". Channel 4. 17 April 2011. Retrieved 1 January 2012. ↑ "Will Young quits Strictly Come Dancing". BBC. 11 October 2016. Retrieved 11 October 2016. ↑ Winter, Stuart (20 November 2015). "Will Young to release his stunning take on a Burt Bacharach classic for WWF campaign". Express. Retrieved 23 November 2015. ↑ "Pop Idol Will: 'I'm gay'". BBC News. 10 March 2002. Retrieved 8 October 2009. ↑ "Will Young: 'I went on Tinder and it was brilliant, hysterical'". The Times. 27 March 2017. Retrieved 29 May 2017. ↑ Sturges, Fiona (1 November 2009). "The boy in the corner: Why is Will Young in therapy? – Profiles – People". The Independent. Retrieved 22 May 2015. Wikimedia Commons has media related to Will Young . Will Young on IMDb .